Our Level 2 program beautifully explores the facets of your authentic self. You will realize your full potential as a teacher, person and spiritual being. All your relationships will improve, your teaching ability enhanced, and your connection to source strengthen. Five full week modules align you more closely with your destiny. Each weeks theme guarantees you an extraordinary adventure in self-discovery. With the full week format, the group is able to make many profound experiences through powerful kriyas and meditations, challenging and fun interactive exercises, and many special processes for personal insight. A special 5-day bonus session follows the two years of effort to maximize the positive effect of the training and to prepare you for your next steps. Our fantastic team of teachers bring a special quality for the selected topic. This training is proven to change the very fabric of our interplay in this world by creating bridges with the infinite. This program has both a fixed frame, and organic processes that vary with each group. The team welcomes the challenges that accompany each new group of students. 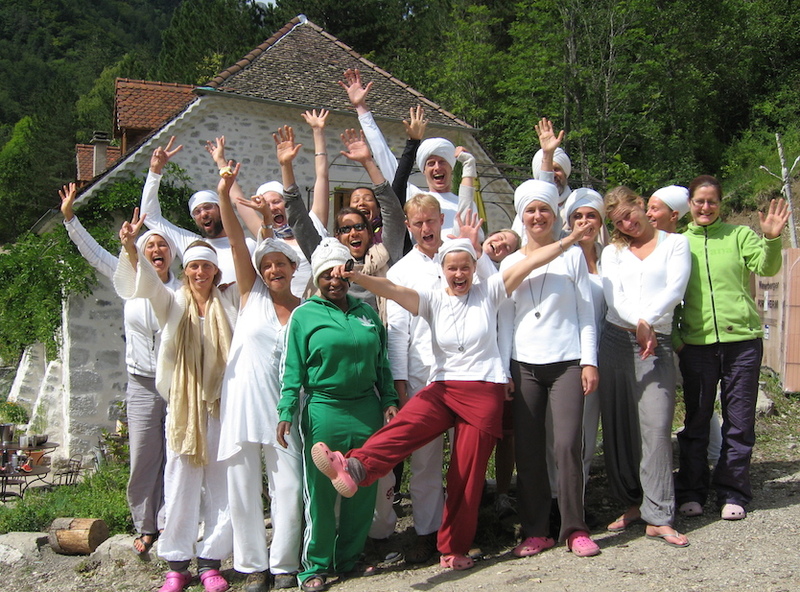 At the completion of this course, you can radiantly stand in front of any group as a Level 2 Kundalini Yoga teacher. Before the Lifescycles & Lifestyles week, each person prepares a personal biography. The questionnaire helps to look at where we came from in order to gain a clearer understand of who we are, and who we can become. Ardas Kaur will join as we unlock the divine code of our destiny. This week includes increasing our feeling of prosperity with creative games and beautifully served delicious meals. Video shows the students learning Gatka (Indian Stick Fighting/Dance) during the Spiritual Warrior module. 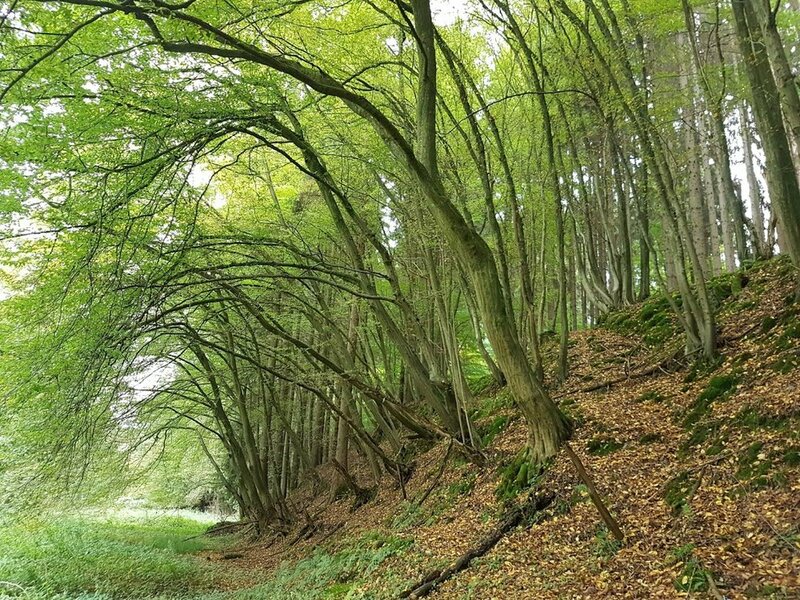 #5 NL - June 16-23, 2019 Lifecycles & Lifestyles - - - - - - - - - Still time to join the adventure! Course fee 655€ for each module, 3930€ total for all 6 modules. Cost for Seminar house, food, misc. around 365€ per week. Payment options: 6 payments of 655€ due one week before the start of each scheduled module. * This information may change. What happens in each week of the Level 2 teacher training? Level 2 teacher training is a big commitment. It means meeting all aspects of yourself. Deeply, completely, truthfully, compassionately, and focused. Here is an overview on what happens in this extraordinary training program. 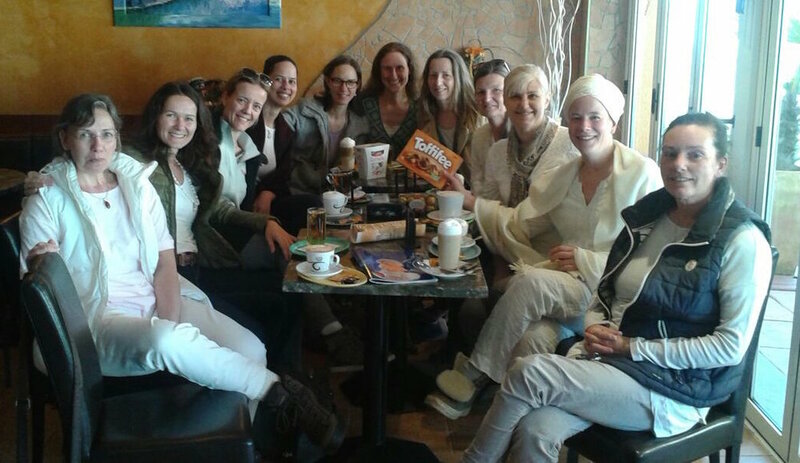 The journey begin with the Stress & Vitality week with Ardas Kaur as part of the team. We explore the foundation of our physical existence. Working with Ayurveda, doshas (body type), you will learn which foods strengthen and which foods weaken you. We will examine the relationships between meridians(energy circuits), stress, health, disease, yoga and meditation. The week includes many profound healing kriyas and ends with each student designing an empowering diet to practice for 40 days. The Conscious Communication week takes the student through the different levels of thoughts and feelings in all aspects of communication. 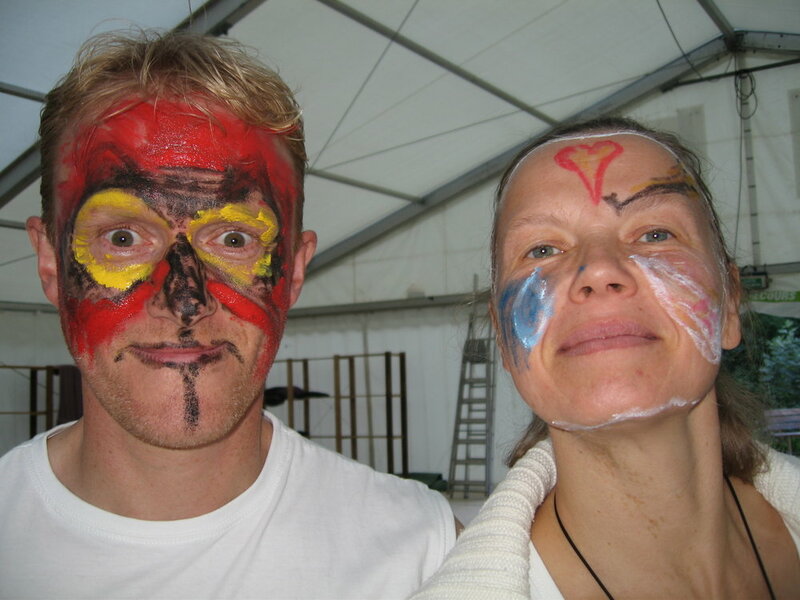 Hari Har Ji from England brings her special insight, understanding and compassion to the week. Through expressive play, mental games, verbal confrontations, and other powerful tools, we will explore the ways we communicate, why we communicate and how to improve our communication. The week includes a bit of theater using the dynamics of fun as a learning tool. In preparation for the Authentic Relationship week a special diet, meditation and sadhana are given. Together these are designed to prepare for a greater understanding of who we are beyond our emotional filters. Again Hari Har Ji helps make a wonderful team for exploring the mystery of man and woman. We go through a special process of releasing old grief, (sadness and anger) followed by a special day where the women and the men work individually. Then a day of integration, of facing each other and healing our pain. 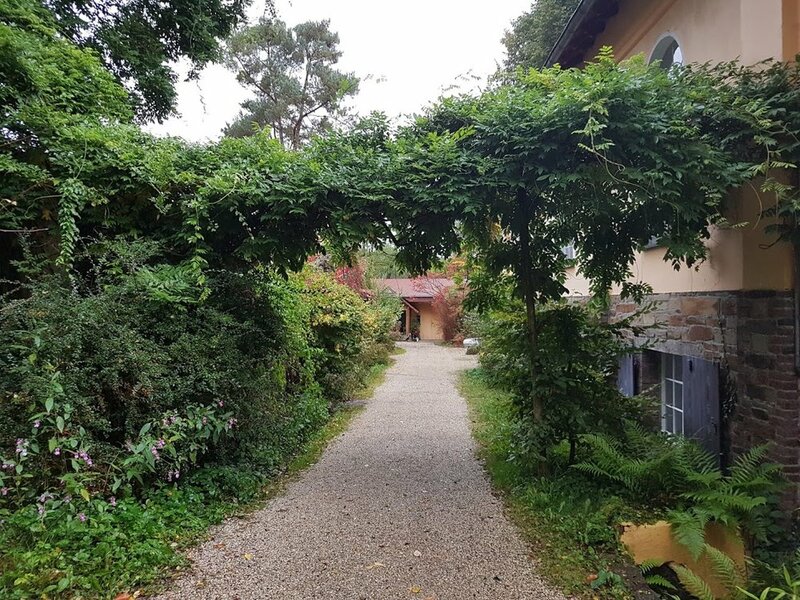 We meet in a nice cozy house surrounded by nature. Mind & Meditation is an especially wonderful and challenging week with lots of surprises. 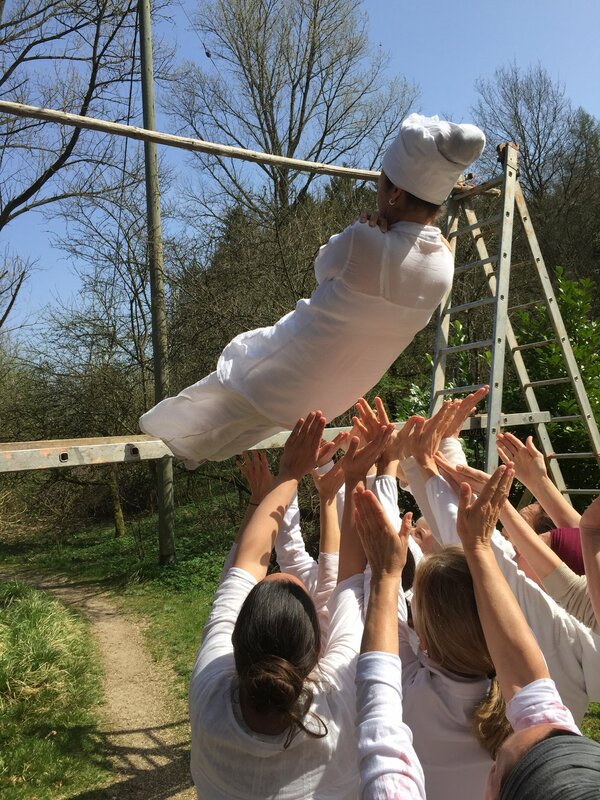 Ardas Kaur, with her shamanic background, adds an important element to the weeks activities. 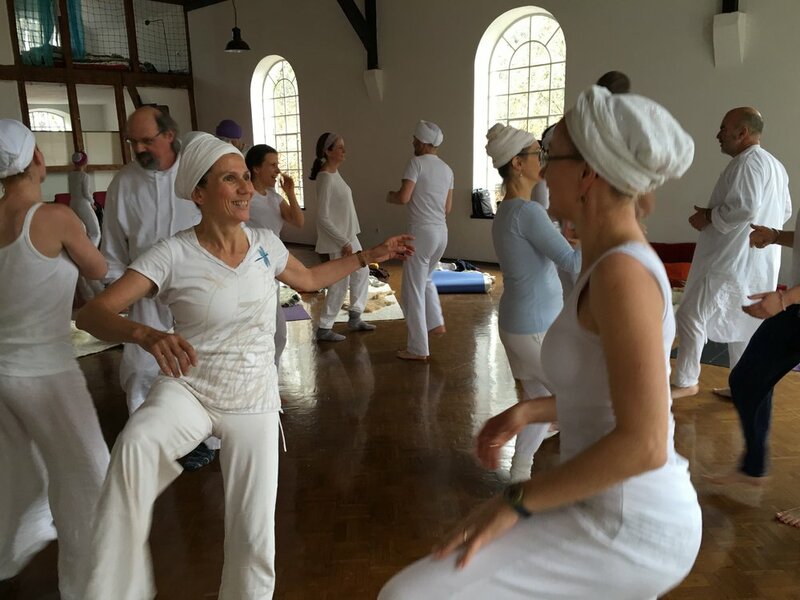 We explore the complexities of the mind through a model given by Yogi Bhajan. A special diet during the week supports the process as we become more sattvic (pure) as an aid to a deeper meditation experience. Meditations form the basis for this week of inner discoveries in the quiet supportive seminar house. Finally we come to the end of our process, which is also a beginning. In the Spiritual Warrior bonus week, we strengthen the understanding of our purpose by preparing for our death. 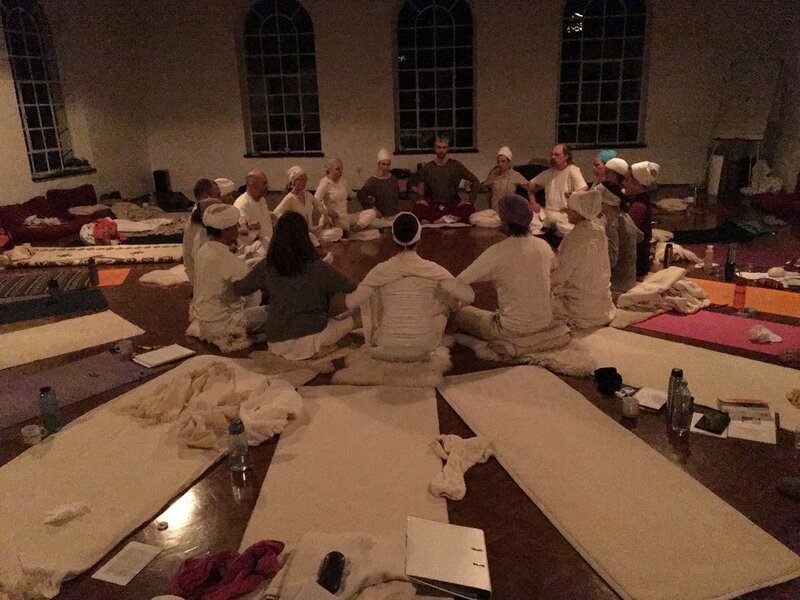 This final week recognizes the mission of a true kundalini yoga teacher. It is a celebration as we die to the illusion of this world. We start anew. Past participants have been delighted at how the weeks, locations and trainers, combined in a divine dance to create the many life changing experiences. We guarantee that you will not be disappointed . . . . . if you show up and do your best.